From the opening minute of Richard Turgeon’s In Between the Spaces, one can hear a strong Bob Mould influence. Imagine Sugar with less distortion. Throw in a little REM. It’s an engaging sound as Turgeon’s songs are both compelling and radio friendly. The opening track, “Bigfoot’s An Alien” is remarkably catchy. And there are better tracks to come. The ringing guitars of the poppy “Bad Seed” are worthy of a Mitch Easter production. “I Don’t Need You” is straight ahead pop rock with a killer hook for a chorus. “Watch Me Now” is another pop gem with hand claps and a shout out loud chorus – and some killer guitar. There isn’t a bad song on In Between the Spaces although some stand out more than others. As well as the standouts mentioned above, the album ends with three excellent songs. “Song For Today”, “Frostbites”, and “Gravity”. All sound as if they could have been hits on 90’s radio. 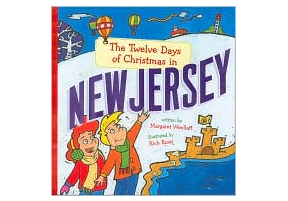 As an author and novelist, it should come as no surprise that Turgeon can write a lyric. As it turns out, he can write catchy hooks, too. Add to that the fact that he plays most of the instruments on the album and it’s really quite impressive. Richard Turgeon In Between the Spaces is an excellent effort. Don’t be surprised if it ends up on this site’s best power pop albums list by year’s end. 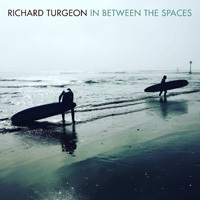 Get your copy of Richard Turgeon In Between the Spaces through his Bandcamp page.